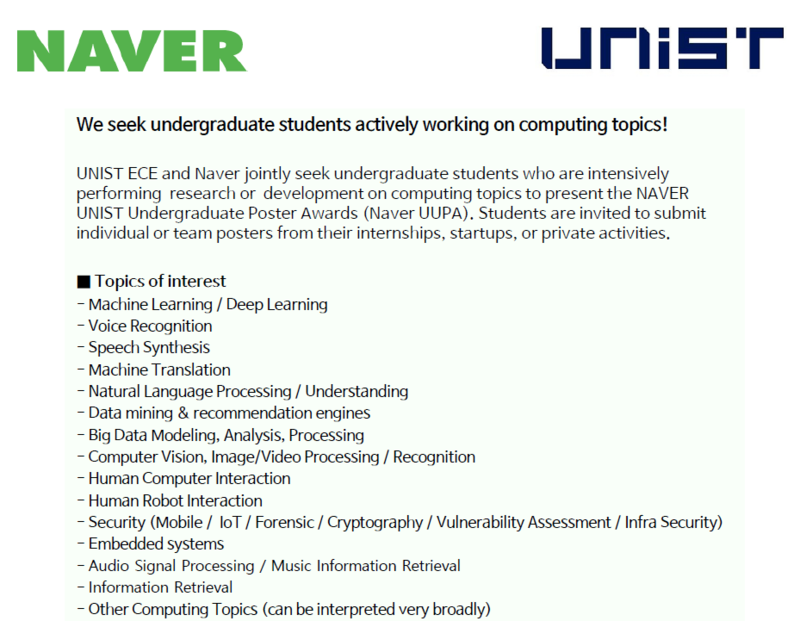 School of ECE and Naver jointly are seeking UG students who are intensively performing research or development on computing topics to present the NAVER UNIST UG Poster Awards! Therefore, we would like you all to apply for it by Nov. 24th and show your achievement poster to obtain this great benefit. Please refer to the attached file for any details. One ICSL’s paper accepted t..